In September of last year, Alpine Glass completed the supply and install of a traditional Edwardian conservatory, leaving Mr Ball a very happy chappy. The project involved fitting an aluminium frame roof and an entirely new structure largely made from Alpine’s trademark glass and uPVC materials. Mr Ball knew he was in safe hands with Alpine, previously having bi-folding doors fitted elsewhere with great success before. Again, Alpine Glass have excelled. 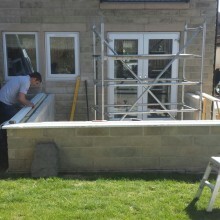 After the installation of our Bi-folds, we ordered the conservatory. From start to finish the service was 1st class, I would not hesitate in recommending these guys to all. Very professional and the customer is always made important – also piece of mind that they are available out of office hours. Thanks to Alpine Glass’ swift and smooth installation, Mr Ball was left with a conservatory that now allows him to enjoy the environment and natural beauty of his garden, having been built upon the foundation of an attractive brick base which gradually began to complement the aesthetic appeal of the house’s rear end. The West Yorkshire-based project is a classic example of how Alpine uses a combination of uPVC and aluminium to provide customers with a beautiful, high quality finish to their new conservatory. Their work is only complemented further by the extremely durable exterior which is highly resistant to adverse weather and offers excellent drainage and guttering processes. After previously being impressed with his prior install of Bi-fold doors, Mr Ball felt it made sense to trust Alpine when selecting installers for his ambitious conservatory project. The conservatory itself features a set of French doors which help to create the impression of a more spacious back of the house, creating a transition from house and garden that feels welcoming. Alpine was able to complete the job with as little interruption and annoyance as possible, ensuring that the customer’s needs were always being met with as little disruption to their daily routine as possible. This never took away from the high standard of workmanship which can be seen from the conservatory’s end result. Mr Ball rated Alpine Glass 10/10 with regards to the quality of the work, customer satisfaction and overall service from start to finish. The property had been left in a clean and tidy condition, leaving the customer so impressed, he wouldn’t hesitate to recommend Alpine to others. 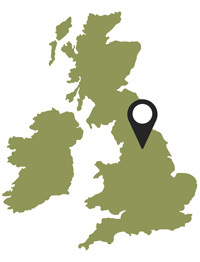 Alpine Glass have almost ten years of industry professionalism, possessing the experience and knowhow required to readily service the whole West Yorkshire region including Leeds, York, Bradford and Skipton. We understand what you want from a new conservatory, ensuring that we only supply the best quality products that make for a durable and long-standing conservatory that will see you well into the future. Being naturally adaptable with regards to the hot or cold, our energy efficient glazing techniques makes sure it’s always the right temperature. 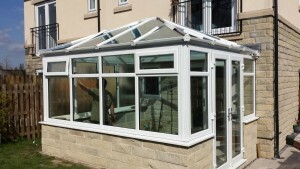 Additionally, Alpine can supply a whole variety of conservatory types. Ranging from Mr Ball’s traditional Edwardian to the more extravagant Skyroom conservatory, our show room based in Bradford will leave you with plenty of choice when wanting to give the back of your home a more spacious feeling.